Additional Info: Outside lockable shed for storage. £150 per week non-refundable deposit on booking. Balance payable one month prior to start of holiday. Payment details will be given when booking. To enquire or to make a booking please either fill in the form above or telephone the number shown and I will get back to you straight away. Thank you. Per-night bookings are sometimes available during weeks other than school holidays. Please enquire. If you wish to book a stay at Andromeda, please let me know your mobile phone number, full name and address, the number of adults and children in your party and the age of the children. Thank you. 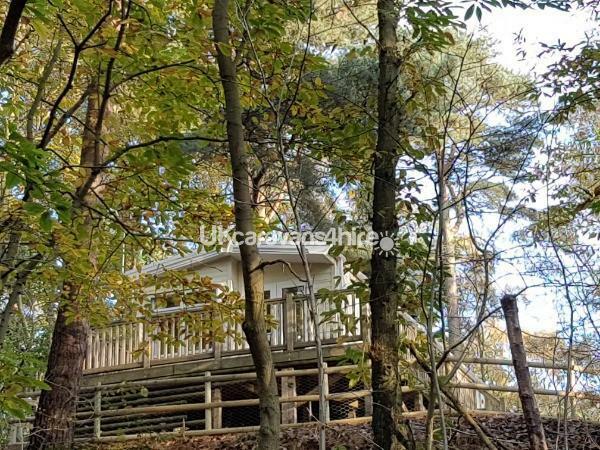 If you are looking for a self-catering holiday in Norfolk, in a place of peace and tranquillity, surrounded by nature, then you need look no further - "Andromeda" is the place for you. It is named after the Andromeda Galaxy which is the nearest galaxy to our own Milky Way. The owner first saw the Andromeda Galaxy with the naked eye from here six years ago. It lies 2.3 million light years away from Earth. The stunningly dark sky here, with no light pollution, is every bit a part of the natural surroundings as the stately trees in the forest. On a perfectly clear night the Milky Way itself is dazzling as it fills the night sky. 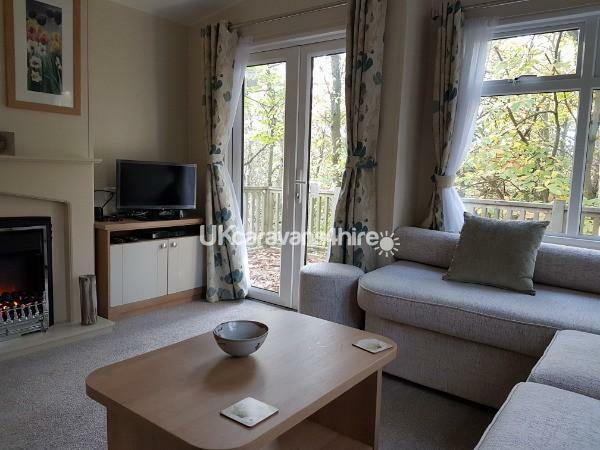 This delightful holiday home is situated in an area of outstanding natural beauty at the award-winning Kelling Heath Holiday Park. A nature reserve in all respects where the beautiful, natural woodland, heath land and wildlife are all cherished and protected. 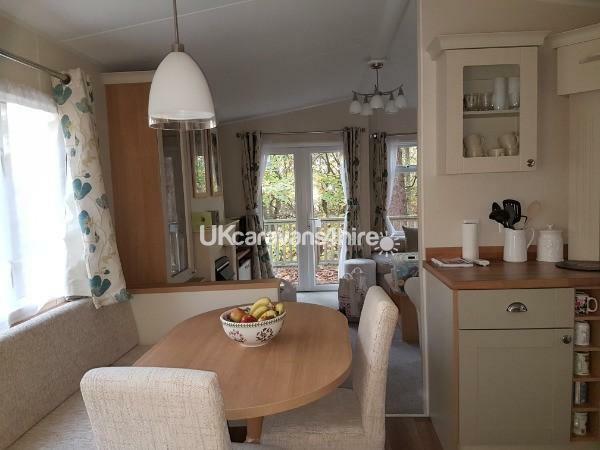 Andromeda (the caravan) is on plot 222 which is situated along the fourth right-hand drive after you turn in to Kelling Heath Holiday Park from Sandyhill Lane. There is a very tall Cypress Conifer tree on the corner of the drive. It is a pretty and quiet wooded area only a brief stroll, or cycle, to the Village Square where all the park facilities are situated. GOOD QUALITY BED LINEN, TOWELS AND KITCHEN TOWELS ARE PROVIDED. PLEASE BRING YOUR OWN POOL AND BEACH TOWELS. Included in the cost is water, gas, electricity, cleaning, refreshments on arrival and a two-for-one Leisure Pass for the Kelling Heath Health and Fitness Club. For weeks other than school holidays, a per-night basis may be possible. Please enquire. 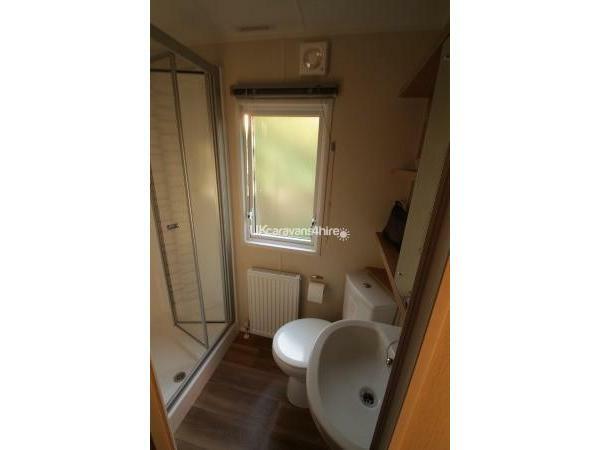 The Kelling Heath Holiday Park offers much to enhance your stay here. I am sure you will have a wonderful holiday and not return home disappointed. Additional Info: Outdoor fun-pool, table tennis, boules, bicycle hire. 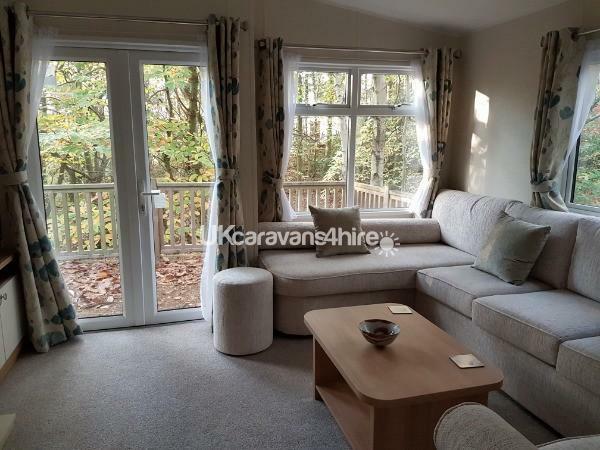 We have been staying at Kelling Heath since before we had children and this is by far the best caravan we have stayed in. The location is wonderful, so peaceful and tranquil. 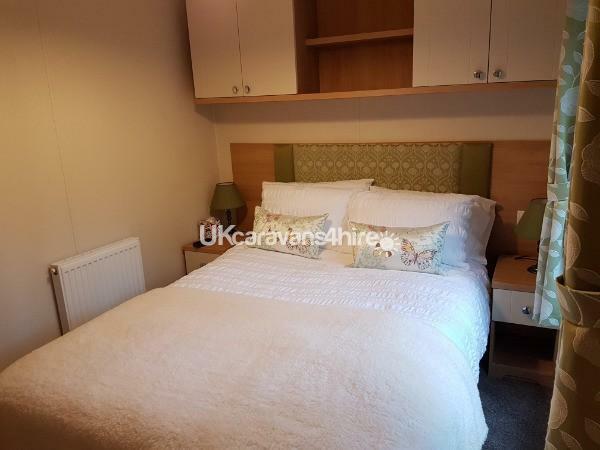 The caravan itself is equipped for everything we could possibly need, Dee has thought of everthing! In addition, the communication with Dee was great and booking was a very easy process. We wish we could have stayed for longer, and can't wait to come back. Many thanks Dee. This caravan is the best on the park. We have been going to Kelling for years and we have stayed in some lovely vans. However, this van stands out from all the best we have stayed in. You can not fault the cleanliness or facilities in anyway and the communication from Dee has been fab all the way through the booking to the holiday. The caravan is beautifully designed with nothing forgotten.... Not only that but the amount of wildlife we saw was amazing and my family who were staying up the road in another van were extremely jealous as we seemed to see everything from deer, Fox squirrels and jay birds all coming on our private decking every day. If u want a holiday we’re u really want to unwind then kelling is the place and the Andromeda is the place to rent. We have already booked in for the same time next year before our current holiday had even finished. we had a lovely time, the caravan was brilliant it had everything you could want and more. It was very clean and it was in a lovely place we would have liked to stay longer and we will be back again Thanks to Dee for making this a lovely holiday for us and we had lovely weather too. We really enjoyed our stay in Andromeda. 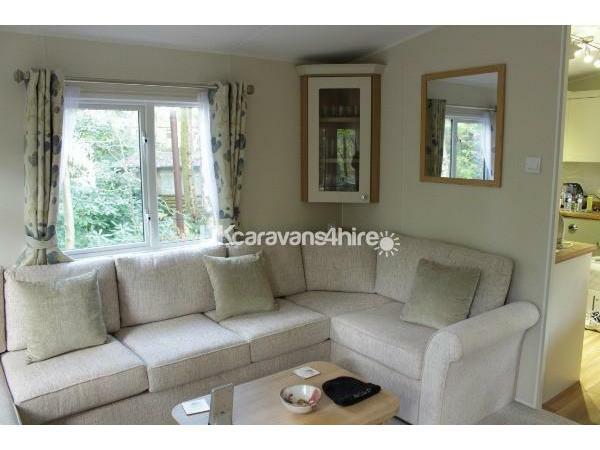 The caravan was so clean and comfy and in a lovely, peaceful spot in the woods, a few minutes walk from the railway halt, which my boys loved, and only a short walk from the village centre. The caravan had everything you could need, and a lot of thought had gone into making us feel welcome and at home. From the first enquiry, communication with Dee was great, and the booking process very easy. We were all sad to leave and will hopefully be back one day. Thank you for a great stay. 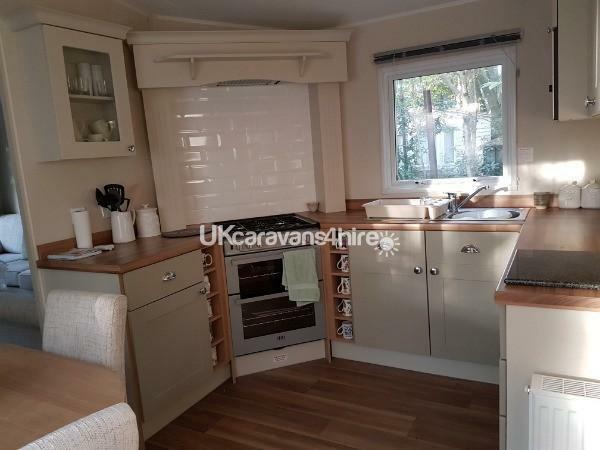 The cleanest caravan we have ever stayed in and in an ideal location for exploring Kelling Heath and the surrounding areas. 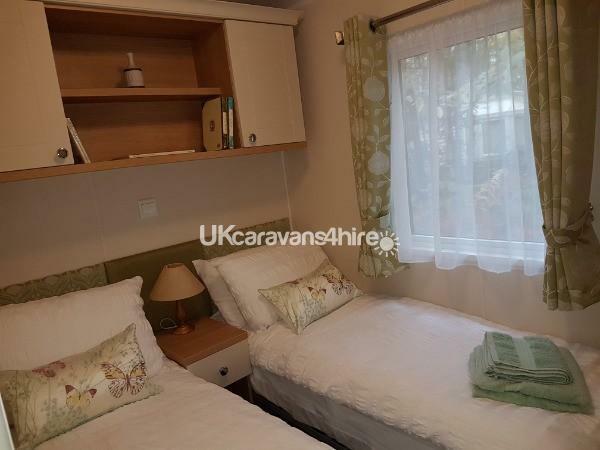 The owner has put a lot of thought into providing little extras in the caravan that made it an ideal base for our family holiday. 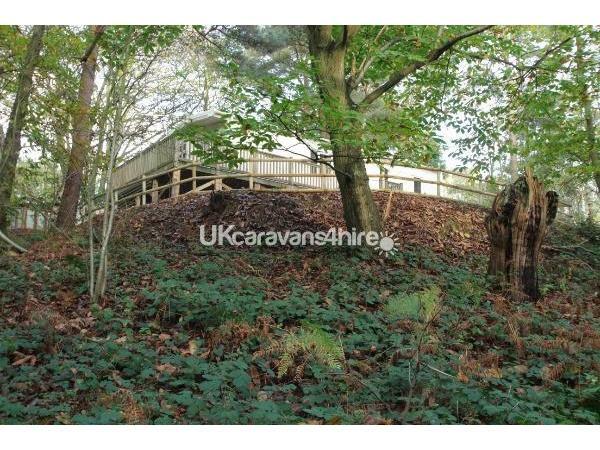 Lovely quiet location amidst the wildlife but close to all the facilities. Will definitely be back! Perfection. 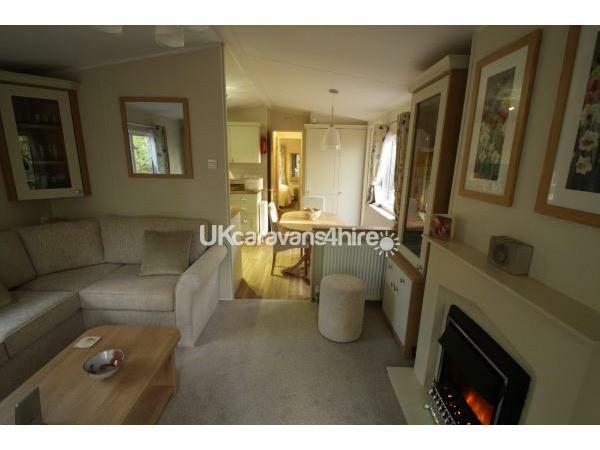 Lovely caravan in one of the best locations in Kelling Heath. Great communication with the owner. We will most certainly be back. 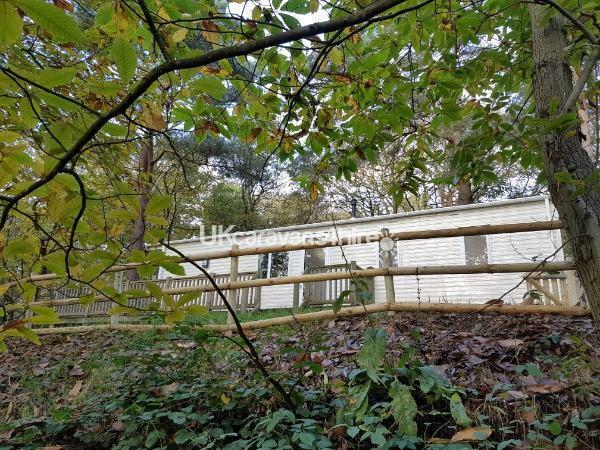 The photos on the site don't do this caravan justice, set right in the trees the wildlife is right in your eyeline quiet and peaceful & only a short walk to all the facilities just beautiful we will be back.